Pine Island: PRICE REDUCTION!! First floor - end unit in popular Fisherman's Wharf condo complex. 2 bedroom - 2 bath split bedroom floor plan. The complex has a beautiful pool area and shuffle board. There is also a fenced area for boat storage. This condo is priced to sell! Fishermans Wharf Condo: Second floor condo with view! Located in popular Fisherman's Wharf community. 2 bedroom, 2 bath- split bedroom floor plan. The condo has had many upgrades including ceramic tile throughout with cork underlay, bathroom vanities & sinks, new tile in master bath, tray ceiling in kitchen, new A/C and water heater in 2017. The community has a large heated pool, shuffle board, & fenced boat storage. 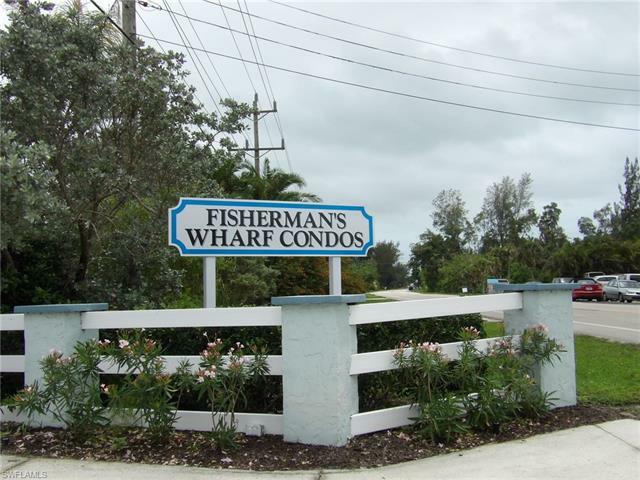 Each condo has a boat dock! Don't hesitate to view this condo!